Quite simply, nothing else looks like or pours like a F!NK Water Jug. Originally commissioned in 1993 as a limited release vessel for the opening of an elegant new restaurant in Australia’s national capital, Canberra, the early prototype was refined and its manufacturing streamlined, allowing the potential of the Jug as the quintessential F!NK piece to be realized. The Jug was issued as the vanguard for Robert Foster’s then fledgling design company F!NK + Co., and to this day remains its signature piece. 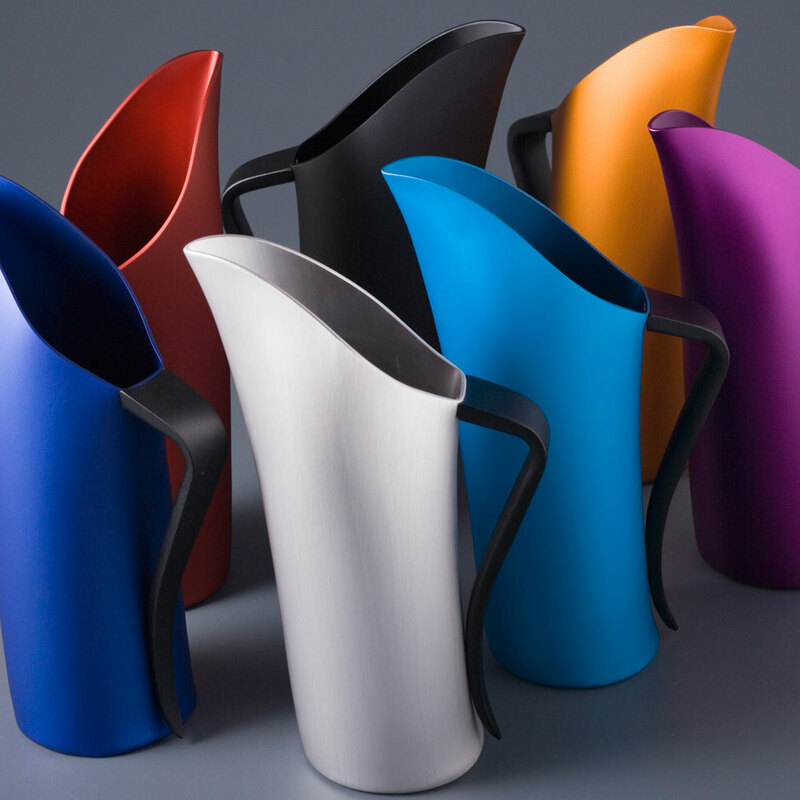 The F!NK Water Jug is available in six stunning anodized matt colours – Deep Blue, Turquoise, Red, Orange, Black and Purple – as well as a lustrous silver satin finish. Exclusive colours can be negotiated for special editions.